As many of you may or may not have known, six months ago our lives changed temporarily for the worse. I got a call to say hubby had been in an accident. He had broken his knee. It may take 6 or more weeks to get better. Well 6 weeks soon became a bit longer than we had hoped when we found out that his surgery had to be redone. Then that surgery had to be redone. He spend months in hospital. Oh and all this while, a couple of days after he broke his knee we found out I was pregnant. Amazing timing and amazing news soon became a bit of a mixed emotion scenario. 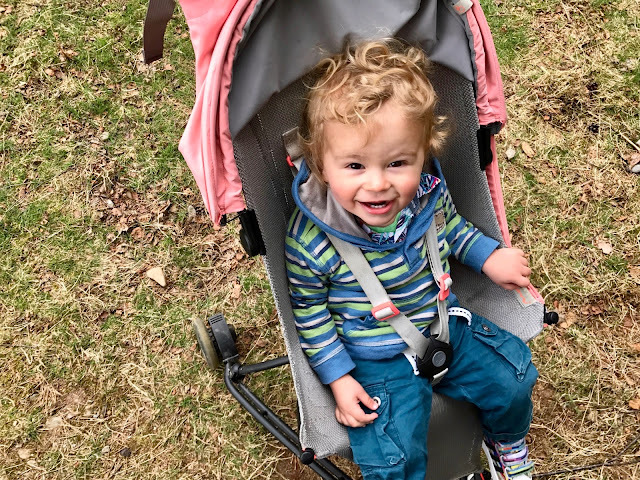 Now fast forward six months and at last he can drive and walk hobble without crutches so we finally got to go out for a proper family walk. 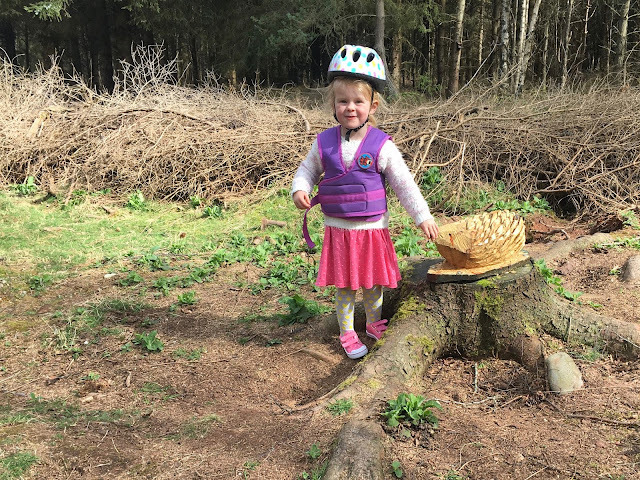 With M really enjoying her bike and a friend saying that Denlethan Woods was great for her bike we decided to go there. 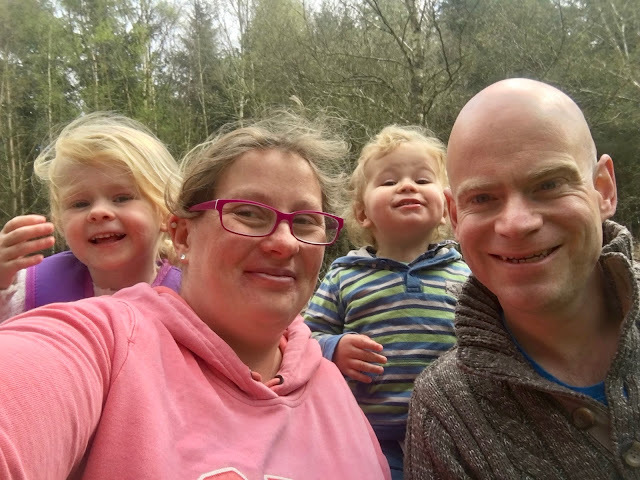 It's the first real forest walk F has been on as he started to walk at the same time hubby broke his knee and so any family walks we have done have been short and near home. 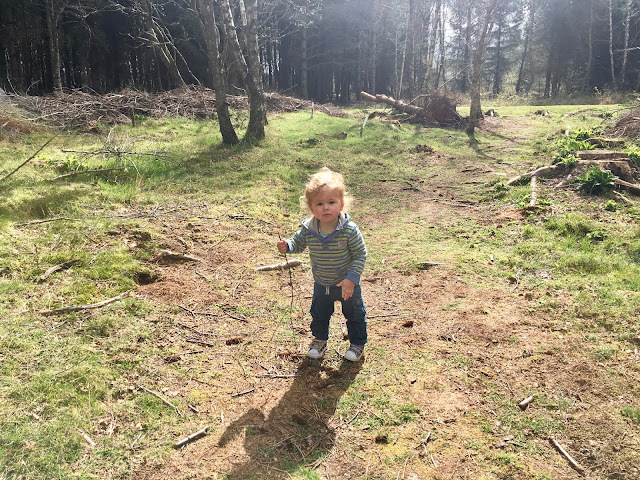 The walk itself is not that long, maybe just under 2 miles, but there were loads of bits for the kids to explore and at 31 weeks pregnant with pelvic pain it was a perfect length of a starter walk. It has been ages since we have been there as we used to walk the dogs there when hubby worked near by but now we have been again I can see us going back a lot. M would have preferred it to be just a bit longer as when we finished the walk she asked to go again! 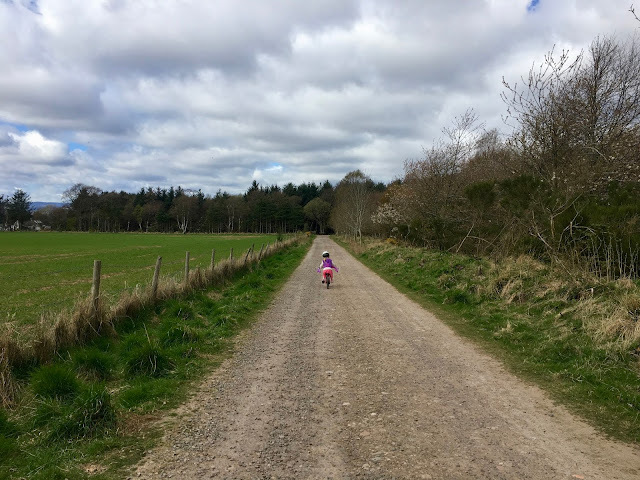 It is new that she has been biking on surfaces other than tarmac and I wondered if it might be a bit much for her but other than a few really bumpy bits or a slight hill she was fine. 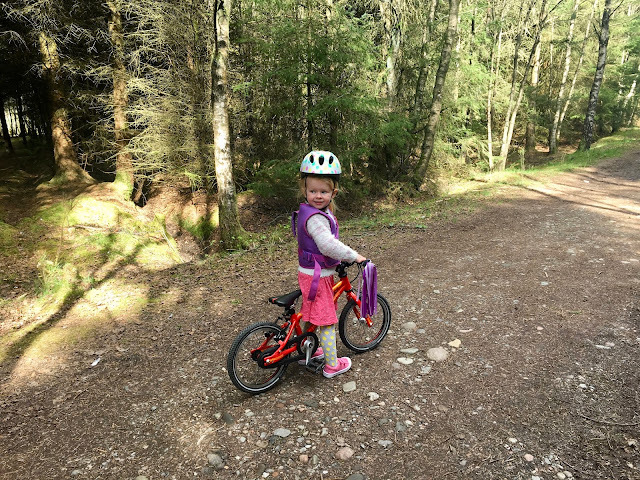 Having just turned 3 in February I can't believe how far she can bike. 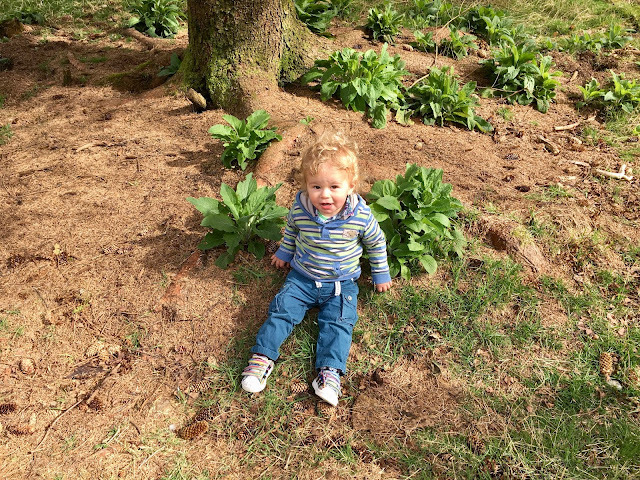 F loved exploring the grassy areas of the woods, picking up sticks and pinecones. It was great to see him explore his surroundings. It seems I have two huge fans of the great outdoors. I think we will need to start taking a bag for each child to collect their treasures in. 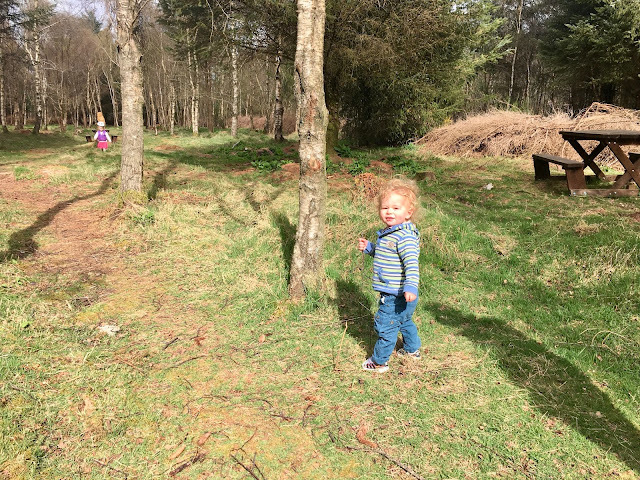 They both loved the wood sculptures that they found in a clearing the in the middle of the woods in a wee picnic area (which was a pity as we never brought a picnic). We will definitely be returning, tomorrow if you little to M, and this time we will be taking a picnic with us so we can spend even more time in the area.